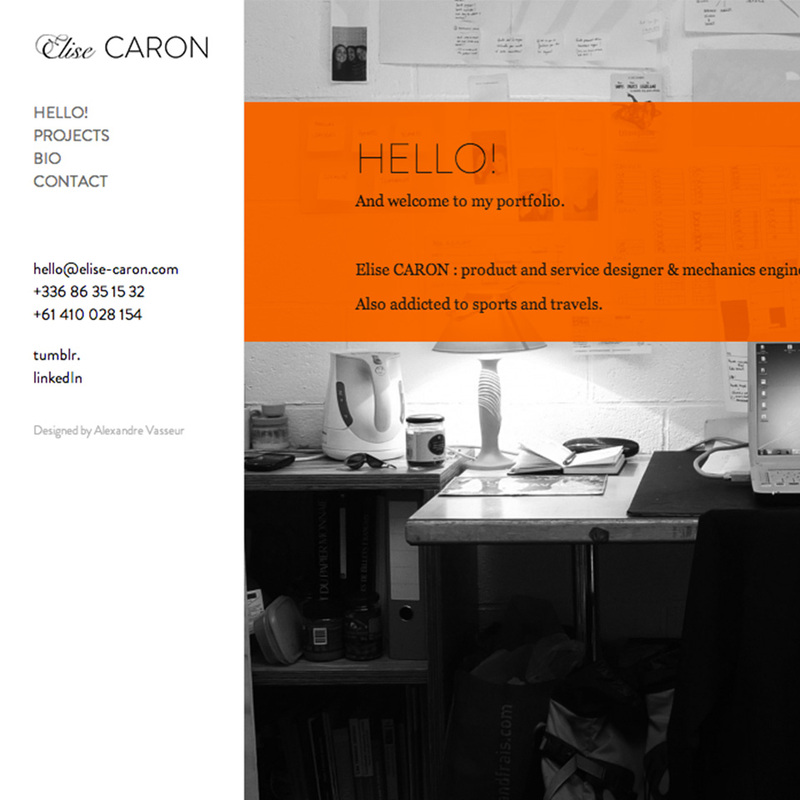 Description Consulting and creation of the Elise Caron product designer's portfolio. All the conception of this website was based on my CMS and offers the possibility to add projects under categories, associated with sliders and videos. My mission was to build the custom administration panel on the demand, with precise modules to create projects and pages and making the front end with some jQuery visual animations.